CT technology uses computer-processed x-rays to produce tomographic images of specific patient anatomy. In some cases a contrast agent is used to show certain anatomy more clearly. Many CT exams require specific test preparations. Please contact Gateway for specific preparation instructions. 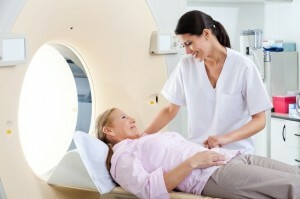 Did your Doctor request that you have a CT SCAN ABDOMEN/PELVIS? Tired of drinking the milky contrast agent (Barium) the night before and the morning of the exam? COME TO GATEWAY AND JUST DRINK WATER!! !